It is impossible to fully understand contemporary society and culture without acknowledging the place of sport. Sport is part of our social and cultural fabric, possessing a social and commercial power that makes it a potent force in the world, for good and for bad. Sport has helped to start wars and promote international reconciliation, while every government around the world commits public resources to sport because of its perceived benefits. From the bleachers to the boardroom, sport matters. Each chapter includes a wealth of useful features to assist the student, including chapter summaries, highlighted definitions of key terms, practical projects, revision questions, boxed case-studies and biographies, and guides to further reading, with additional teaching and learning resources available on a companion website. Sport, Culture and Society is the most broad-ranging and thoughtful introduction to the socio-cultural analysis of sport currently available and sets a new agenda for the discipline. It is essential reading for all students with an interest in sport. 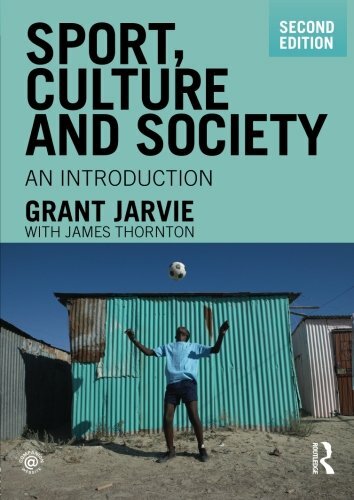 Visit the companion website at www.routledge.com/cw/jarvie.